PCD Pharma Franchise in Chandigarh – Apikos Pharma is the well established pharmaceutical company committed to providing the effective pharma products to people. The company is involved in manufacturing, marketing and exporting pharmaceutical formulations as well. Our products are best in quality and are very affordable.We are having well-maintained infrastructure and resources which help in the manufacturing process. We also offer our PCD Pharma franchise opportunity in all over India. And, Chandigarh is the main destination we provide PCD Pharma Franchise. So if you are looking best PCD pharma franchise in Chandigarh then Apikos pharma is the best option for you. We are ISO 9001:2015 global pharmaceutical company, we have the wide range of products our product portfolio contain following products Capsules, Syrups, Dry Syrups, Injections, Ointments, Soft Gel Capsules and Sachets. We manufacture the more 200 pharma products & all are GMP approved. 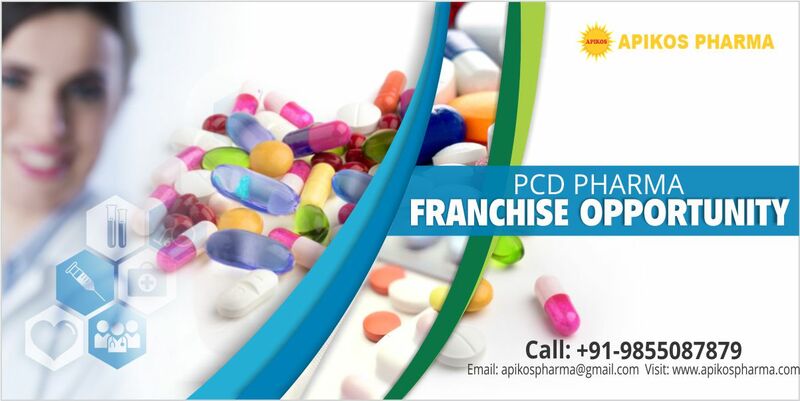 Contact at +91-9855087879 for more information for our PCD Pharma franchise plan. We are WHO & GMP certified company, we are the best PCD Pharma Franchise company in India. PCD Pharma Franchise is a great area to invest money and having the good return in this sector. If you are a pharma expert and want to start your own business then this is the best opportunity for you to a dynamic career in the pharma industry. We are offering PCD Pharma Franchise in Chandigarh therefore, we invite pharma experts, medical representatives, stakeholders and distributors from all over India or from Chandigarh city to be our partners and take this company to new heights of success. We look forward to people having pharma Marketing experience and welcome you to the company which will give you sole Marketing and Distribution rights. If you are really interested to be associated with us and engage your territory in enjoying the monopoly rights at best. Contact us now and start your golden venture now. You can call at +91-9855087879 for any inquiries. We are looking for those who want their business to attain success and provide profit along with this serve the society with the quality product of healthcare at affordable prices for all section of the society. We welcome you to join us and be our partner for the better tomorrow. We have attained this position in pharma industry with the help of two renowned personalities of pharma industry Mr. Harsh Sharma and Mr. Anil Kapoor under their kind supervision we have grown to a prominent name in the pharma industry. Our heads have worked with many reputed company in high positions and considered as a master in the pharmaceutical industry at the different level in management category. Apikos Pharma’s main objective is to make medicine which helps in the improvement of the health and quality of the life of the patient. We are strong and stable pharma company in this highly competitive environment. We believe in bringing transparency in our work so that the sustainable and long-term relation can be maintained between us and our partner. We are having the team of experts who always bring something new and innovative for the customers. Though we are supreme in quality but our prices are comparatively low in the market as we want every section of society to have the benefit of our product. We offer area wise monopoly of business with distribution and marketing rights to our associates. We operate from Chandigarh but extended our reach in almost every state of India. So come in the list of top pharma franchise companies of India. This city beautiful Chandigarh is the best-planned city in India, with architecture which is world-renowned, and a quality of life, which is unparalleled. As the capital of the states of Punjab and Haryana and the Union Territory of Chandigarh it is a prestigious city. Apikos Pharma is offering its PCD Pharma Franchise in their native place Chandigarh. If you are a pharma professional looking forward to your own business this is all you need. Apikos pharma invites distributors, medical representatives, stakeholders and pharma experts for PCD pharma Franchise from all over the Chandigarh. We are having more than 160 happy associates all over India. You can call us at +91-9855087879 for any enquiries regarding PCD Pharma Franchise in Chandigarh. What are the scopes of having PCD Pharma Franchise ? Chandigarh is the best face of the modern city having all the necessary things to be the well-developed city with advanced technology. The health and medical sector of this city are also very advanced and well-managed. The city is having many good hospitals and people visiting from neighboring state for better treatment. Having a PCD Pharma Franchise in Chandigarh is a good business Idea. The demand for the pharma products is increasing with the rise in population. India being the 2nd most populated country in the world needs good medical products as well to meet the demand of population as well. The Indian Pharma Industry is expected to grow in coming years which is beneficial of PCD Pharma Franchise. As the government also showing its keen interest in this area this sector will grow more. With the rise in the population, the demand for better and more medical care will increase therefore the future aspects of pharma franchise is good as well. PCD Pharma Franchise is at boom stage the scope of this kind of investment will provide good return with the good career in Pharma industry. Apikos Pharma ebsure the best quality products to all its associates. The Comapny have the quality management team that looks after the quality and make sure that assocates gets the best quality products. The Company uses high quality raw material and intregiants for the manufacuring of the medicines by using the best technonoly for the manufacuring. Why to choose Apikos Pharma for PCD Pharma Franchise? We are the well-known name in the pharma industry because of our products and reach among people. Apikos pharma follows all the work ethics and knows about its responsibility towards society. We are trusted name in the healthcare industry because of our quality products at affordable prices with no compromise in the effectiveness of the product. Being a responsible Pharm Company we will provide all kind of support to the associates in the Chandigarh. The company will provide the marketing backup to the associates to do well in the market. Along with this, the promotional tools will also be provided to the associates. We are ISO 9001:2015 citified company. We have quality products at affordable prices. We have the best leaders who run this company with their huge experience. 160+ products are available with us which is best for quality and effectiveness. We are havingthe dedicated warehouse in each zone. We care for you and that is why always ready for your help, we will provide you the promotional kit which will help you to survive the competition. All our manufacturing takes place in the excise free zone. Incentives will be provided on the completion of annual targets. All our experts are well qualified. If you have to make a mind to for PCD Pharma franchise business then must contact us. We will guild you in the proper way for pharma franchise business like how we are better than others & how we can help you to grow your pharma business.